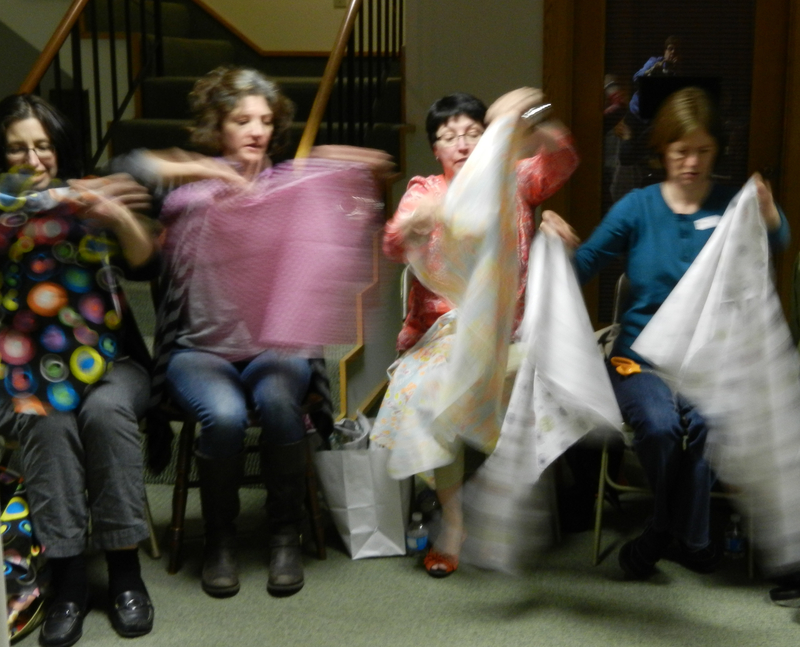 At the April 8th meeting, everyone brought 1 yard of fabric to share. When the music started, everyone passed their fabric. And when the music stopped, everyone split the fabric in half. After 7 songs, each was left with a pile of mixed fabric. The challenge? Make something with the fabric you took home from the meeting. Make anything! And when complete, bring your creation to the next show and tell. Can't wait to see what you create! !